My best blogging advice is “Read a lot of other blogs.” You’ll see what you like and what you don’t, and as you learn what inspires you, you’ll figure out how those inspirations can shape your own blogging. I think that if you’re going to review books on your blog, having a posted, clearly expressed review policy is essential…even if your policy is that you don’t accept books from publishers or authors. and only review books you buy or borrow from the library. And if you do accept books for review, you need to be aware of the (also-evolving) FTC disclosure guidelines…and follow them. 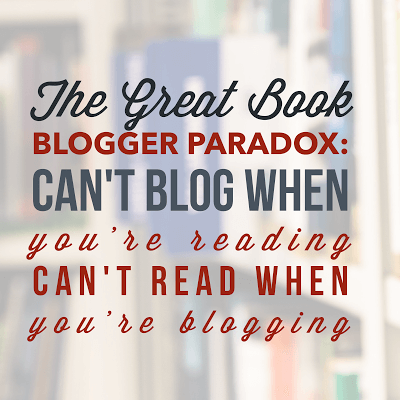 These practices address some of the more concrete concerns of book blogging, but things get fuzzier when it comes to the more creative side of things. I believe what I said earlier about being inspired by what we see other bloggers are doing. That said, inspiration and plagiarism and very different things. When it comes to most matters of ethics, I feel that even the most complex codes of policies and procedures are underpinned by a pretty fundamental idea: Do Unto Others As You Would Have Others Do Unto You. Be fair, be honest, be reliable…and hope that those you deal with do the same. Sunday Salon: Right Here, Right Now–Mother's Day! Wordless Wednesday: "Only a mother could love…"